The Mathematics and Physics section of the Shevchenko Scientific Society invite you to a lecture by Dr. Melania Nynka, X-ray astronomer, postdoctoral researcher at the McGill Space Institute, studying our universe using cutting-edge space-based telescopes. She is broadly interested in our complex and crowded Galactic Center. The LIGO and Virgo observatories have been detecting gravitational waves from two colliding black holes since 2015. These groundbreaking detections have already earned a Nobel Prize in Physics! But on August 17, 2017, the LIGO observatory detected the first ever gravitational wave emission of a neutron star merger and yet again dramatically changed the landscape of astrophysics. Neutron stars, or two extremely dense cores left over after supernovae, produce both gravitational and electromagnetic radiation when they collide together. The neutron star merger was so powerful that light from every wavelength – radio, IR, visible, UV, X-ray and gamma-ray – dramatically erupted in the sky, and a third of the professional astronomy community and 70 world-class observatories around the globe raced to capture a detection. 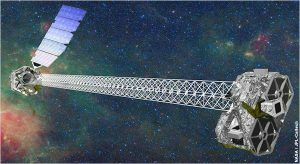 Dr. Nynka is part of a small team at McGill University which tracking the evolution of the merger using powerful space-based X-ray telescopes. The data they collect, especially when combined with other wavelengths, help deepen our understanding of the universe. We now know how neutron star mergers create, for example, most of the metals we use in jewelry and construction. Dr. Nynka will first give a brief overview of X-ray telescopes and her experiences helping built an X-ray optic. She will then focus on both the astrophysical processes the neutron star merger has revealed as well as the unanswered questions we are still trying to answer.